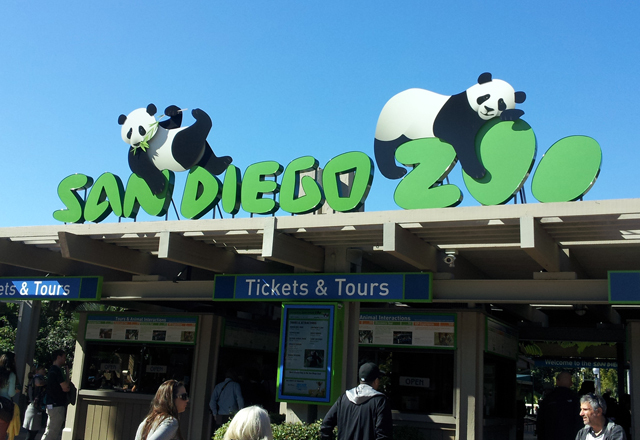 We spent our Tuesday in San Diego at the San Diego Zoo. More animals! 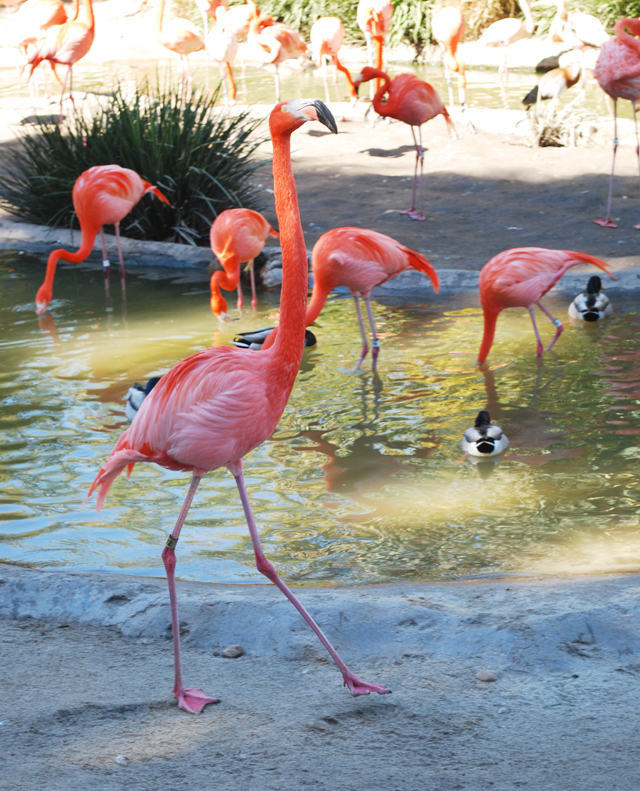 I learned so much about the history of the zoo and the different animals from Bill, who volunteers there. 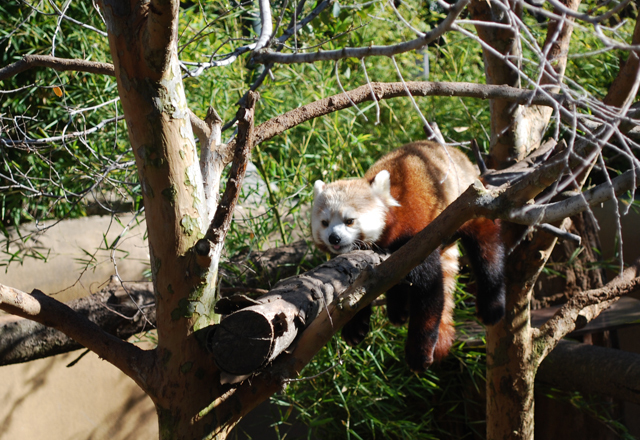 We rushed to the panda exhibit before noon; the baby is only out to see until then, and we didn’t want to miss! 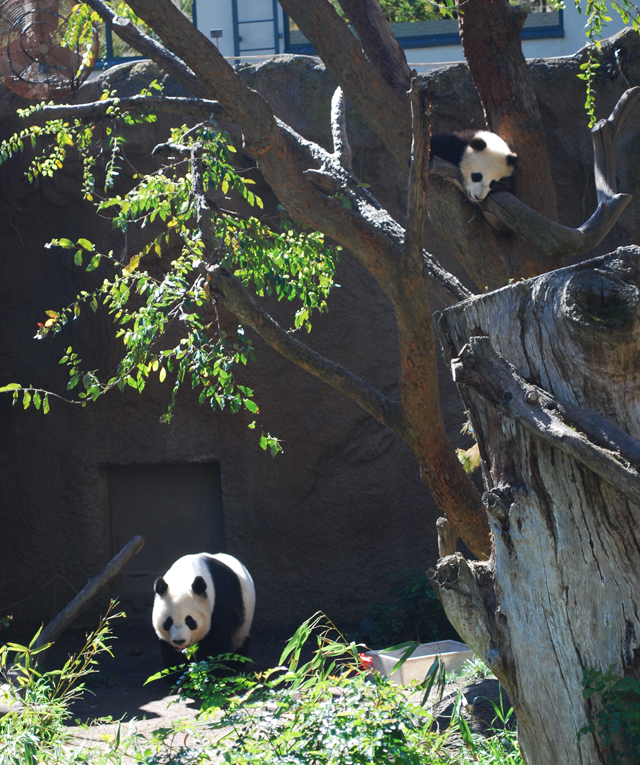 The pandas are on loan from China and the zoo actually pays an exorbitant amount of money to “rent” them each year. Crazy! When we walked through “Cat Canyon” we had quite the scare. 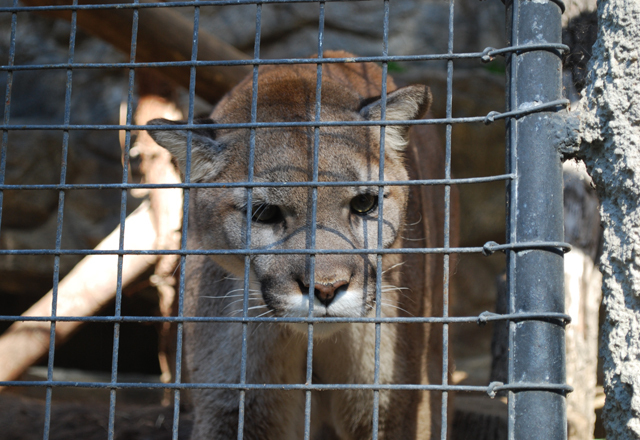 While looking into the mountain lion exhibit I made the mistake of making eye contact with one of them… he started stealthily walking towards me like he was hunting me. Creeped me out. When he heard G-ma’s walker he started her direction; she said that they’re attracted to strollers and must have thought that’s what she was pushing. He stood by the fence for a while and stared us down, then spat at us while smacking the cage! I was so sure in that moment that this would be one of those cases where the animal comes through their fence and kills onlookers. But we lived to see another day. 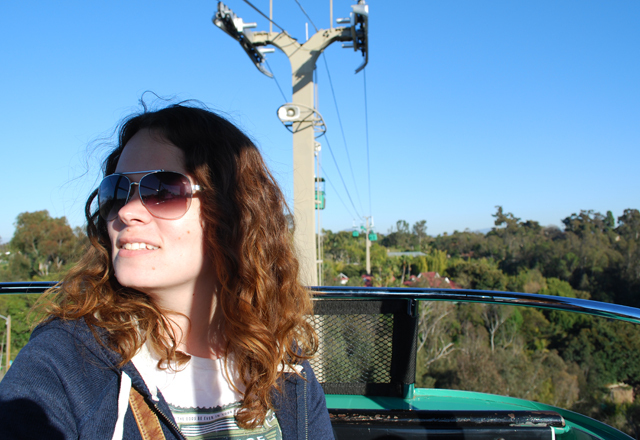 I ignored my fear of heights and rode on the SkyFari. I’d been on similar lifts at Disney World when I was young, so I just told myself that. 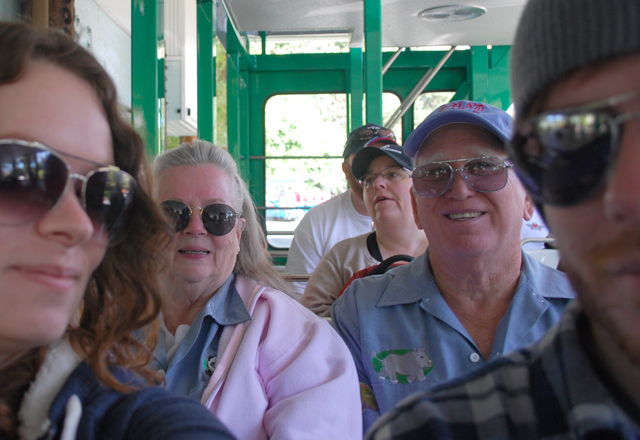 I won’t even get on a ferris wheel… but somehow I survived this. This is Janey the orangutan. She was raised by humans for the first 15 years of her life and loves human interaction. If you have a purse she will point and want to see inside. You can sift through and show her different items; if you have lipstick she pokes her lips out! I feel sad that she’s in there with others of her own kind now instead of living the domesticated life she had grown accustomed to, but she seems to be doing pretty well. 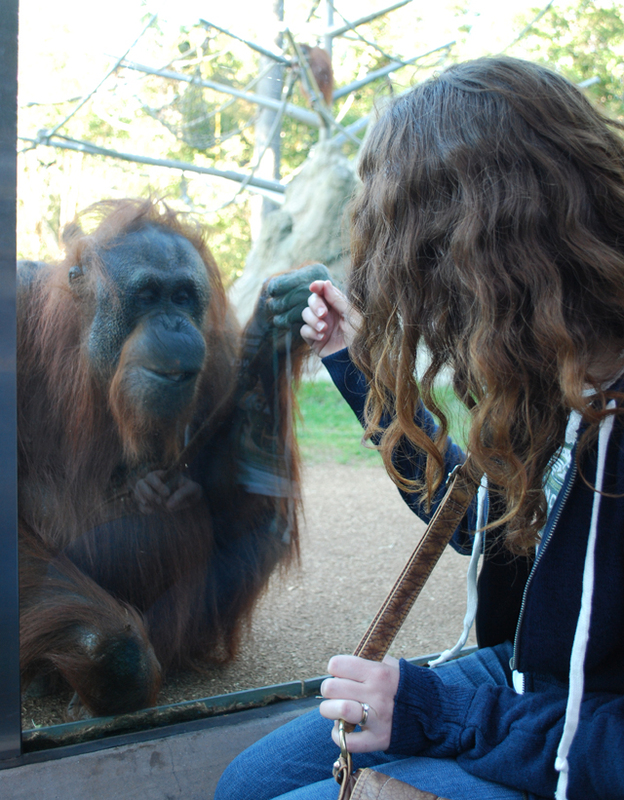 You can watch Janey and the other orangutans on the zoo’s Ape Cam.